The Room to Grow Home.Abundance of heated square feet this home will convenient everyone in the family.Starting with the appointed detached studio/tree house.First notice the long private driveway leading between the trees to the 3 car garage with a golf cart that conveys.Interior features 2 master bedrooms one up and one downstairs,office,open concept, sun room, 2 half baths and laundry room.Kitchen has granite counter tops,custom cabinets,and stainless steel appliances.House includes laminate wood floors,carpet, and tile floor along with crown molding.Master bedroom has custom walk in closet,jetted tub and walk in shower.Upstairs features a 2nd master bedroom with office and large walk in closet.Also upstairs a large game room over the garage with media room attached with half bath and bar.Not to be for gotten upstairs is a Jack and Jill set up for the other two bedrooms. Exterior features large front porch and large back deck. Detached playhouse or art studio. Located within a gated community of sought after Pelican Reef subdivision and Topsail Schools. 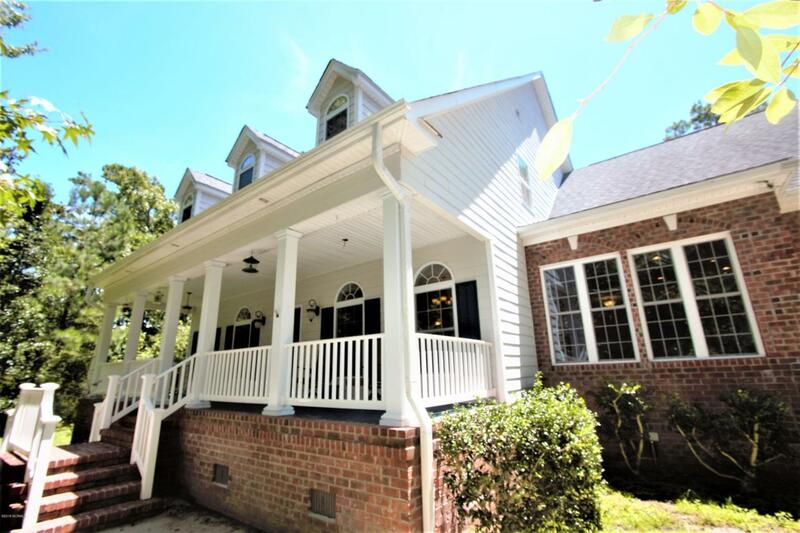 This house is a short golf cart ride around the corner to the community pool and clubhouse.. Also the kayak launch for the neighborhood is located on Canvasback just up the street from your house!